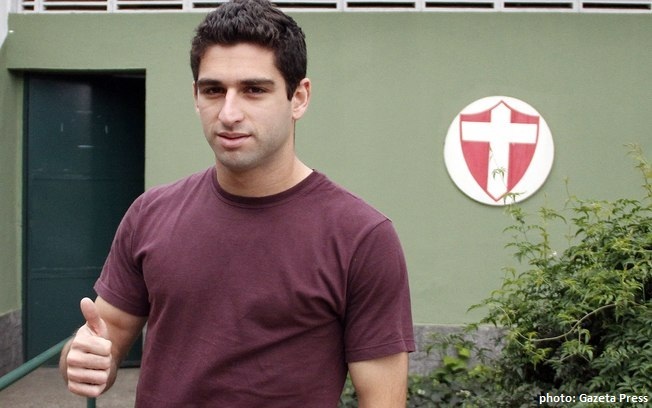 Palmeiras on Wednesday signed creative midfielder Pedro Carmona, coming from Criciúma but belonging to São José. Carmona was made available already against Avaí, but will most likely make his debut this Thursday against Ceará. The left-footed 23-year-old apparently has some talent in the free kick department; perhaps Assunção will have some healthy competition as from know. Carmona will use #21 on his back. Remember the non-starter Martinuccio? Hopefully, the case will soon start generating considerable heat against the player and Fluminense due to Palmeiras contracting the very experienced Spanish layer Juan de Dios Crespo, a world reference in the world of polemic football transfers, to handle the case before the FIFA. It could take a year, maybe even more, but Palmeiras is proving willing to play ball (no pun intended), making Fluminense pay a high price for having signed a player which already had a pre-contract signed with Palmeiras. Martinuccio might even face suspension. Stay tuned for further developments. Kleber’s words might just be his way of saying “I need to do better”, but they were badly chosen. It sounds like he has a power on/off button, where he chooses or not to “love” Palmeiras, where he chooses or not to give 100 per cent. Hardly what the crowd wants to hear from the (former) idol who demanded a monthly pay check of US$ 300.000. And finishing today’s Sonar pings in style: HAPPY BIRTHDAY, PALMEIRAS! Yes indeed: 69 years ago, a leader died and a Champion was born as Palestra Italia transformed into Palmeiras. In case you’ve been sleeping during the history lessons, scroll down this page and brush up your knowledge.